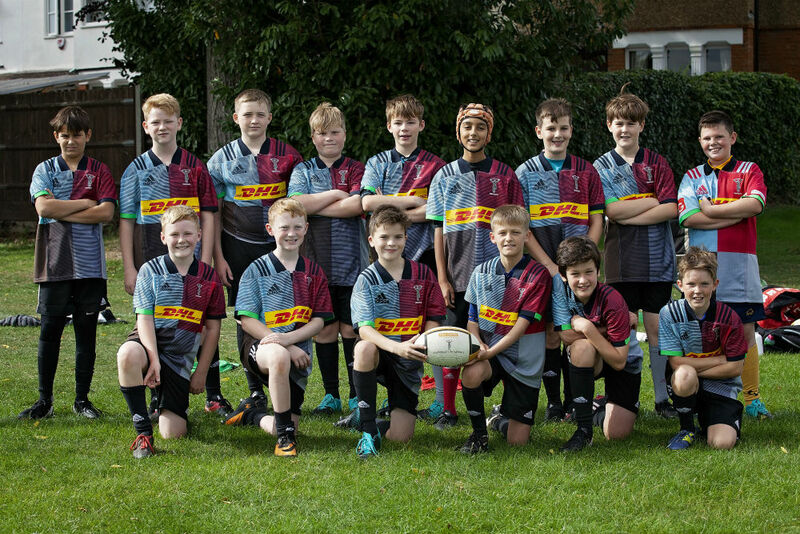 Following on from a trailblazing win against Ealing, Mini Quins were pitched against hosts Regent Park Royals. Bolstered by the six Quins who had volunteered their surfaces to the hosts in a daunting clash against Rosslyn Park, our boys put in another super performance to notch up a consecutive 6-1 win, and this time well inside the full match period. There were outstanding performances all over the pitch but special mention must go to Barney, Owen and Arun who really seem to have come to grips with the advantage their build gives them in this game. With Matthew discovering he could tackle and Ben, the smallest boy on the pitch, making some hard yards, there were revelations all over the pitch. The addition of Gabriel spinning the ball from scrum-half and Wilf's elusive running meant that the hosts barely had a meaningful attack. Ollie, Drummond, Guru and Joshua all demonstrated the running skills we have seen at St Mary's. In fact, to single out any of the boys is a dis-service to the ones missed out. The likes of Thomas and Cash seemed to revel in contact and Hamish and Finlay have clearly come on leaps and bounds in the cold of winter.